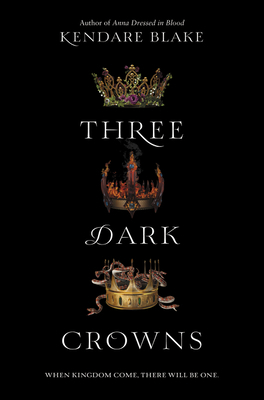 Fans of acclaimed author Kendare Blake’s Anna Dressed in Blood will devour Three Dark Crowns, the first book in a dark and inventive fantasy series about three sisters who must fight to the death to become queen. Don't miss Five Dark Fates, the thrilling conclusion to the series, coming in September! Kendare Blake is the author of the #1 New York Times bestselling Three Dark Crowns series. She holds an MA in creative writing from Middlesex University in northern London. She is also the author of Anna Dressed in Blood, a Cybils Awards finalist; Girl of Nightmares; Antigoddess; Mortal Gods; and Ungodly. Her books have been translated into eighteen languages, have been featured on multiple best-of-year lists, and have received many regional and librarian awards. Kendare lives and writes in Kent, Washington. Visit her online at www.kendareblake.com.